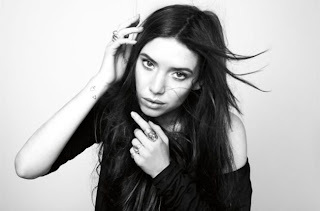 To be honest Lykke Li never was the artist we fell before finding it hard to realize preciousness of her experiments but the less time is left before her new album "Wounded Rhymes" the bigger excitement around her new music pieces grows on our blog. Today Lykke presented new video "Untitled" - dark instrumental track with slight folk touch having nothing common with first two singles "Get Some" and "I Follow Rivers". It's pretty enigmatic and hypnotizing track and video with Lykke on a beach piercing sand with her knives. It has something touching very deep inside, it's not as depressive itself as it makes depressed you but it's incredibly beautiful. Yep, this is one of reasons I've taken her a bit more attentively but songs are the main reason, hope to get a lot of beautiful stuff on the album.